Description: Carl G. Becker was born in 1887, son of a celebrated violin teacher and grandson of violin maker Herman Macklett. 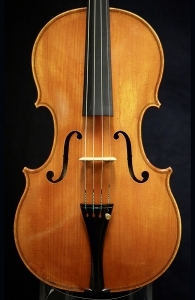 Carl completed his first violin at the age of 14 and soon after in 1902, he began working with Lyon and Healy. Eventually he relocated to Chicago to work for William Lewis & Son in 1924. Carl was William Lewis & Son’s leading connoisseur, maker and restorer. From 1925 to 1947, he devoted the summer months to the making of new instruments in his lakeside home in Pickerel, Wisconsin. In 1968 he and his son, Carl F. Becker, who had joined him at Lewis in 1937, formed their own company: Carl Becker and Son. After military service, Carl F. rejoined his father at William Lewis & Son in 1946. Carl Becker Senior continued repairing and crafting instruments into his late 90s. Acknowledged as the finest of modern makers, he also established a dynasty of similarly conscientious makers and restorers. 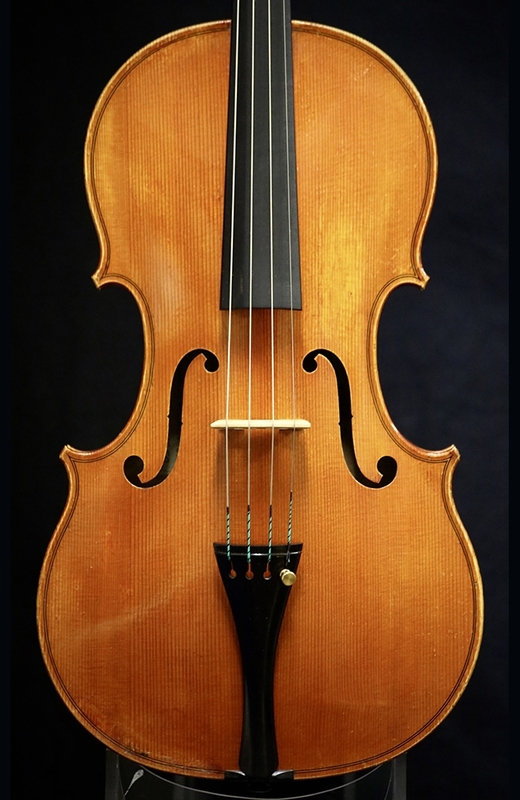 This particular viola is a collaboration of both Carl Becker Sr. and Carl Becker Jr. and is in excellent condition. 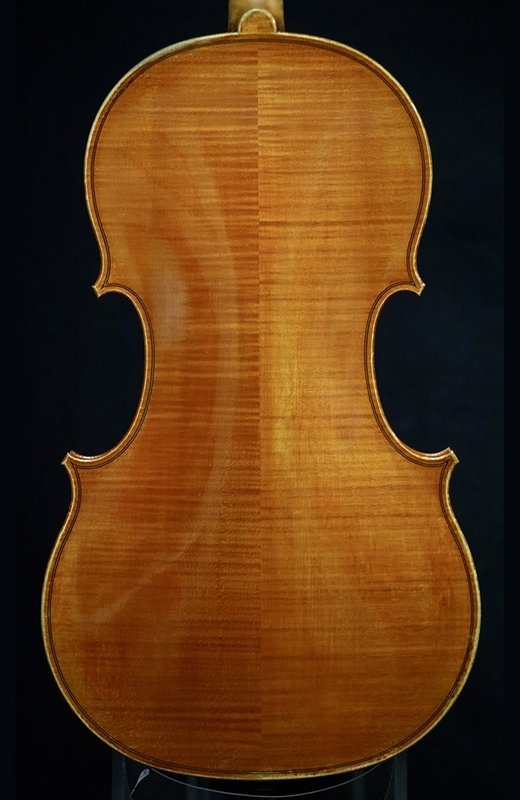 It produces a powerful, soloistic tone with excellent projection. Back Length: 42.2cm. String Length: 37.2cm.